Daily Adventures of the SAHM: The best Christmas package ever! Our package from PackagefromSanta.com came, and it did not disappoint! Getting to see Emma’s grin with the little customizations (big blue eyes and Cheez-it’s, anyone?!) made every minute watching the shipping details worth it! The entire process was streamlined, aside from the insistent up-selling near the checkout at the end of the transaction. It wasn't a deal breaker, but it did get a bit annoying when I was trying to hustle through the purchase while the kids were in another room and I instead had to scroll through 872 options of buying a dvd version of a video of Santa I still haven't actually viewed. ... That's my other critique. This package, as amazing as it is, is intended for one child. If you have 5, you'll be buying 5 separate packages. For a family with just one young child, or for someone like me who can be a bit creative with wording, this is no big deal. For someone whose pen is not so, um, mightier, the letter may come across as confusing or may cause more fights. This is actually why we haven't scheduled the phone call or video from Santa yet - I intend to customize the video for one child and call for another but need to find a moment to do so individually without the other kid present. Without having actually executed the process, I'm almost certain it will be as streamlined as the actual package process (but unfortunately will also probably include 77,000 up-sell attempts). Overall, would I do this again next year? In a heart beat! Would I select a higher tier option from PackagesfromSanta.com? Eh, probably not. As of right now, it's sitting in a pile on my kitchen counter. Maybe a brisk video from the guy in the red suit will shake things up a bit in the SAHM household! I did receive this product complimentary in exchange for my review, but all opinions are 100% my own. I would say 110%, but there is no such thing as an extra 10%. It simply doesn't exist. asw I'm loving your blog! 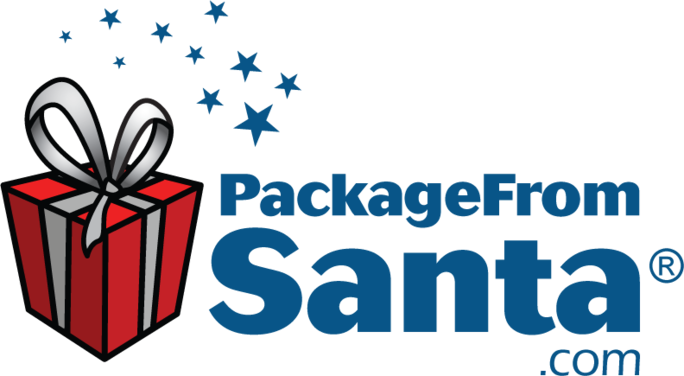 I did the santa package last year when my Daughter was 3 years old and she was a bit young but she was still excited none of the less. Merry Christmas!